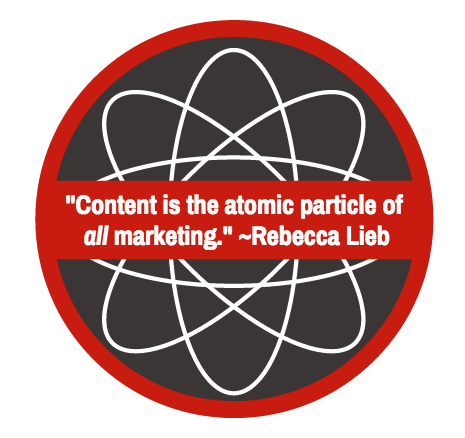 Are you overwhelmed and confused by the periodic table of content marketing? 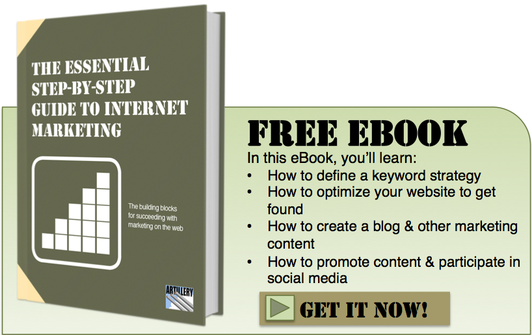 Here’s how to break it all down to get a profitable reaction. Content marketing is an increasingly popular aspect of marketing that it seems to be sucking all the oxygen out of the room. 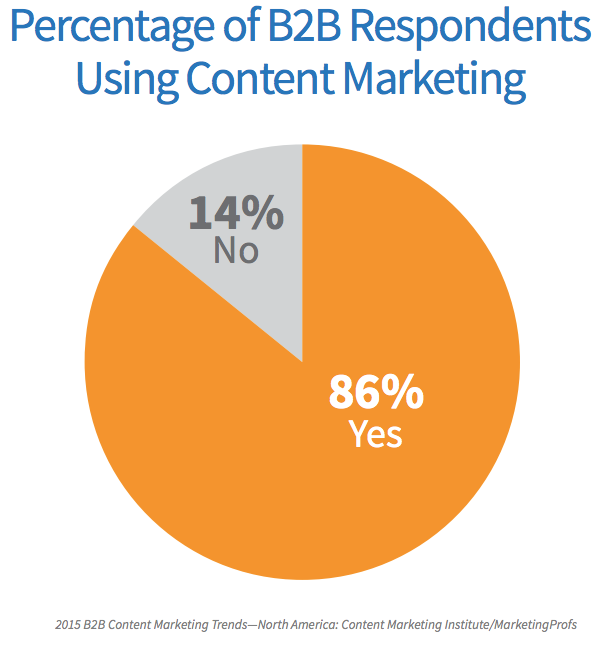 The overwhelming majority of B2B marketers report using content marketing. In the latest B2B Content Marketing Benchmarks, Budgets and Trends (North America) study from Content Marketing Institute and MarketingProfs, 86 percent of survey respondents reported using content marketing. But just like the first day of high school chemistry class when you saw the periodic table of the elements on the wall, the many elements of content marketing can seem confusing and overwhelming. 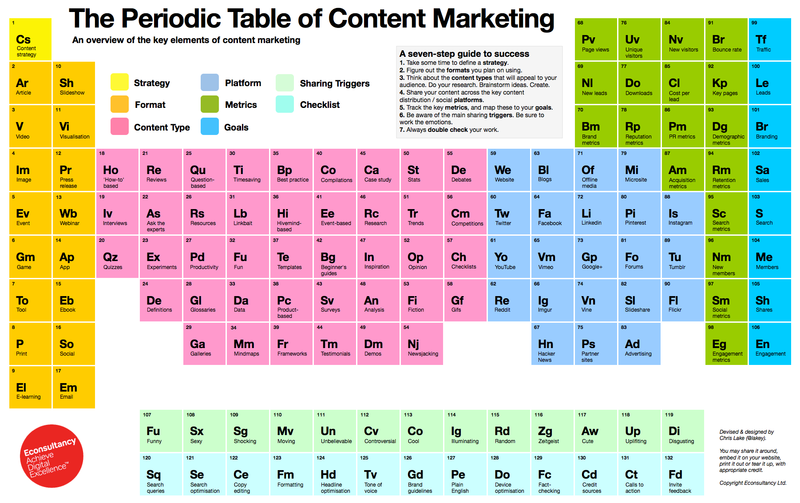 Perhaps reinforcing that perception, eConsultancy produced The Periodic Table of Content Marketing that shows how all the different parts work together. Don’t let the chart intimidate you. Sure, there are lots of elements on the chart, but there are four that matter most for creating a content marketing chemical reaction. What exactly is a chemical reaction? It’s when two or more molecules interact and the molecules change. Bonds between atoms are broken and created to form new molecules. That’s pretty much it. The same thing happens when content marketing is executed correctly. The different content molecules interact and produce change. But you need to use the right elements at the right time. 1) Always focus on mapping content to your personas AND where they are in the buyer’s journey. This is the most important of the four chemical reaction agents. When you have a solid grasp on this one, the other three elements will fall into place and produce a chain reaction. Once you have researched and zeroed in on your buyer persona, expand on that fourth ring of insight, the buyer’s journey. Providing the right content at the right time as the buyer goes through their buying process is key to success. A buyer’s journey can be an erratic, non-linear path, but for the sake of planning, consider the popular paradigm of awareness, consideration, and decision. Think of the awareness stage as where a prospect has identified a problem. The consideration stage is where they’ve identified possible solutions. And the decision stage where they are selecting the best product or service to solve their problem. 2) Less is more: your personas are probably just as busy as you are — make it easy for them to consume your content. Have you ever noticed that no one seems to complain that a piece of content is not long enough? The reverse, however, is often true. Your prospective customers will be grateful if you boil down what they are looking for and serve up only the distilled facts. Additionally, when you are able to keep the content short, it can convey your mastery of it. Also, since 2000, the average human attention span has dropped from 12 seconds to 8. For reference, the average goldfish attention span is nine seconds. Don’t fight the trend. 3) Keep it educational, not promotional. It’s not until the decision stage of the buyer’s journey when your product should ever be mentioned. Buyers don’t care about you until you show you care about them first. And the way you show you care is by understanding them and providing the right content at the right time (see #1 above). As prospects are going through their buyer journey, they are first trying to determine what their problem is and how best to go about solving it. Only when they have self discovered how to solve it are they possibly interested in hearing about you. When a marketer starts bombarding a prospect with information about themselves too early it resembles what Gary Vaynerchuk describes as “the 19 year-old dude move.” This is where he likens prematurely promotional marketers to clueless 19-year-old guys trying to get some action on a first date. 4) Focus on the informational part of the content first, worry about design second. Prioritize writing great content over making that content look nice. Great content trumps average design. The reverse is not true. If you spend more of your limited time researching, creating and editing your content than you do designing it, your odds of creating a breakthrough content marketing chemical reaction will increase. 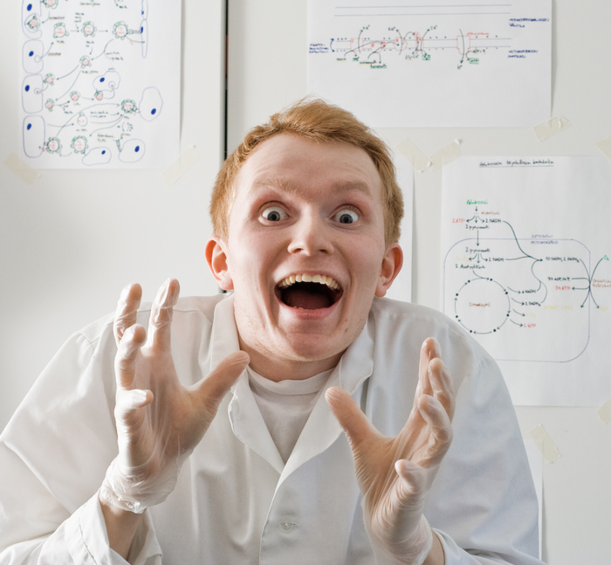 Now fire up that Bunsen burner and start creating your content marketing chemical reactions. But don’t forget your safety goggles.